Is Senator Dianne Feinstein Really Vulnerable This Fall? 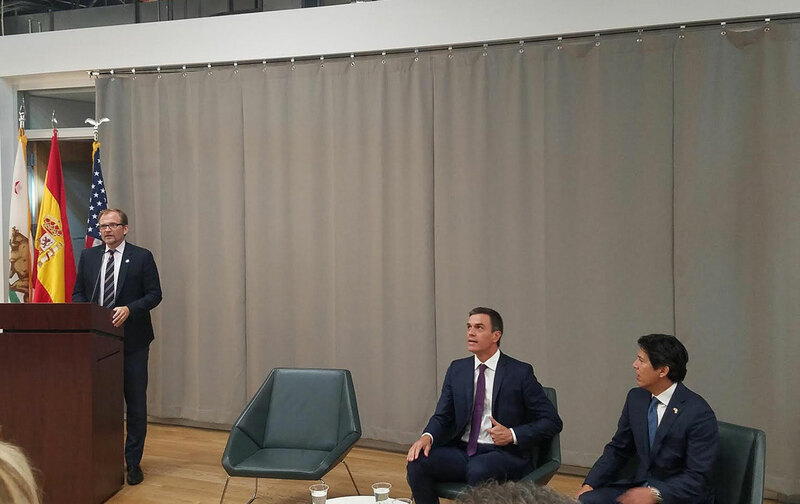 On a Saturday morning at the end of September, Kevin de León, a Democratic state senator from District 24 in Los Angeles, and Pedro Sánchez, the new socialist prime minister of Spain, strode into a small auditorium in the center of the La Kretz Innovation Campus just southeast of downtown LA. Both were wearing dark blue suits, pressed white shirts, their dark hair cut short. The Spaniard had a purple tie, the Californian a blue one. Sánchez had, the previous day, met Governor Jerry Brown in Sacramento. Before that, he had attended a session of the United Nations in New York. While on the East Coast, he had conspicuously avoided making a trip to Washington. The two men sat down in leather chairs, with the audience of about 60 people—made up of local political figures, environmental-technology innovators, and cultural figures—ranged above them on four rows of green cushioned benches. The cubicles and research spaces of the campus, which is a nonprofit incubator for clean fuel and water technology located in an old brick switch house belonging to the Los Angeles Department of Water and Power, spread off to the sides around them. In some ways, the event was boilerplate. What was said has been said a thousand times before. What was more important, however, was the message of the visit itself: A major foreign leader was bypassing Washington and talking about shaping global environmental policies with a state politician in California. Kevin de León is running for the US Senate. Because California now has an open primary, with the top two candidates of any party advancing to the general election in November, this year’s general election is between two Democrats: the 85-year-old incumbent, Dianne Feinstein, and the much younger de León, who until recently was president pro tempore of the State Senate. Feinstein is the bookie’s favorite, the establishment incumbent with deep pockets. She has coasted to victory in her past several elections, and, in a somewhat imperious style, hasn’t publicly debated an election opponent in 18 years. 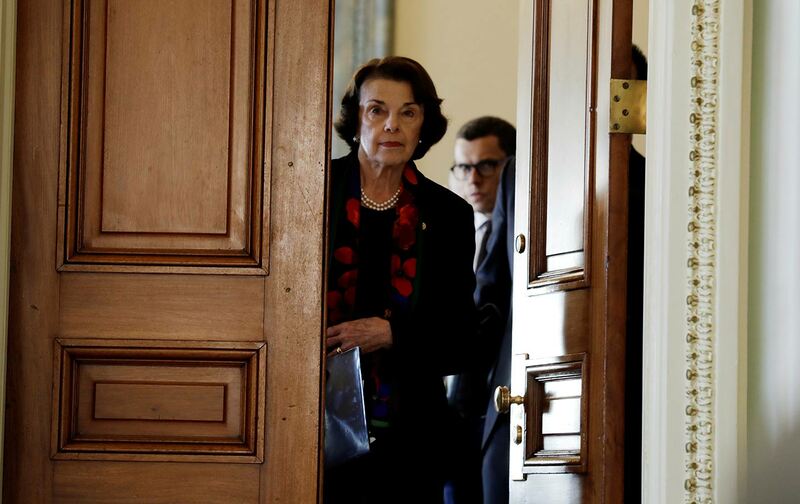 This time around, she told local media that she would be willing to debate, but until this week, when it was announced that the two would debate next Wednesday in San Francisco, Feinstein’s team had made no moves to actually coordinate a meeting with de León. Starved of the oxygen of publicity that such encounters would generate, and with his campaign lacking the financial reach of Feinstein’s, KDL, as he is often referred to, has instead been running a grassroots campaign, crisscrossing the huge state to drum up support. In one recent two-day period, de León recalls, he visited Chico, Oakland, San Jose, Salinas, Irvine, and San Diego. He has been on the road for months, since well before the June primaries. When Trump attacks what he sees as left-wing California, and when commentators—myself included—say that California is leading the resistance to Trump, it is a very particular version of the Golden State that is being discussed. It isn’t the California that reliably elected either Republicans or deeply cautious, centrist Democrats as governors in the 1980s, ’90s, and early 2000s. It isn’t the California that voted to adopt the harsh anti-immigrant policies of Proposition 187 in 1994. It isn’t the California that led the anti-tax revolts of the 1970s and ’80s, or the California that approved some of the country’s harshest criminal-justice laws in the early 1990s. What we’re talking about is the political version of California that, at first slowly, and in recent years much more rapidly, came into being in the decades after Prop 187. It is the polity created when new coalitions of voters, many of them immigrants, fought back against what they saw as the destructive social and economic policies the state was adopting. Kevin de León came of political age in Southern California during this period, working with groups that pushed back against Prop 187, and working to engage Latino residents, in particular, with the political process. His rise to power in Sacramento, serving first in the House and then in the Senate, coincided with Jerry Brown’s second go-around as governor, a governorship in many ways defined by Brown’s deepening concern over looming global environmental catastrophe and his willingness to embrace more radical policy solutions as a result. At the same time, as California’s demographics and electorate changed, the state’s Republican Party imploded. All of that set the stage for a unique moment in California politics. De León has worked that moment well. His big-ticket issues are immigration reform, limiting and mitigating climate change, expanding health-care access, reforming the criminal-justice system, and increasing wages at the bottom of the economy. 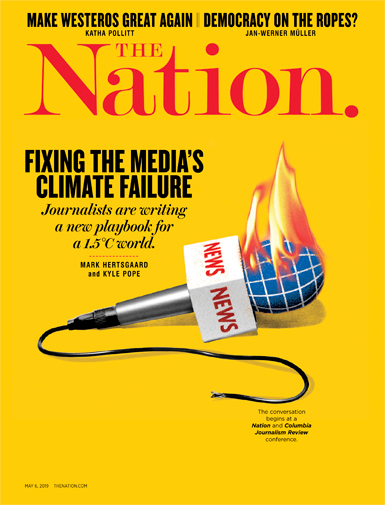 In recent years, as the country as a whole has veered to the right politically, de León has pushed policy after policy in Sacramento designed to create California firewalls against federal policy. And Governor Brown, pushed leftward by the logic of the moment, has ended up signing bills such as the state’s sanctuary laws—also authored by de León—as well as strong commitments to renewable energy and criminal-justice reforms, all of which would have been unpalatable even a few years earlier. In racking up a series of major policy victories, de León has become a favorite among the Democratic Party’s base. The California Democrats have endorsed him in the US Senate race, as have a slew of immigrant-rights, environmental, and labor organizations. When he holds events on college campuses, as he did at UC Berkeley recently, hundreds of students show up to hear him speak. “If you don’t get involved in politics,” he tells the young Californian crowds, “politics will get involved with you—whether you like it or not.” He talks about student debt—“We’ve done a gross disservice to college students. I’ve told them I want to be their voice in Washington. It will be a huge priority of mine,” he promises—about access to health care, about the repressive immigration policies Trump’s administration is enacting, ones that put large numbers of Californians at risk. Feinstein—who is by temperament a moderate, and who made noises, especially at the start of Trump’s presidency, about working with the president and giving him the benefit of the doubt—is, in this state’s anti-Trump moment, an awkward fit. “She fails to understand the abnormality of today’s times,” de León charges. “It’s not the same old, same old.” True, she has swung left in recent years on gun control, on immigration, and on civil rights; but at heart, she remains a centrist. If she wins reelection, it will be less because her base is enthusiastic about her policies and more because of the power of incumbency, of familiarity. So far this election season, the polls have been all over the map: Feinstein has consistently led, but, depending on the poll, her lead has either collapsed into single digits or ballooned to upwards of 20 points. Recent polling suggests she leads by about 11 points. In most polls, however, one constant emerges: Feinstein, the known quantity, does not crack 50 percent. That gives an opening, however slim, for an insurgent campaign such as de León’s to pitch the state’s millions of undecided voters in the next few weeks with his “time for a change” message. On the same afternoon as the gathering with the Spanish prime minister, de León had one more event on his calendar. He was receiving a Visionary Award from the Labor Council for Latin American Advancement at their annual dinner at the Plaza de la Raza, three and a half miles away from the Innovation Campus. De León strode in at 4.30 pm, game face on. He shook hands, hugged, and took selfies with his friends and supporters in the local union movement. And then, exhausted, he sat down at Table 13, hunched his shoulders, and began going over the notes for his speech.